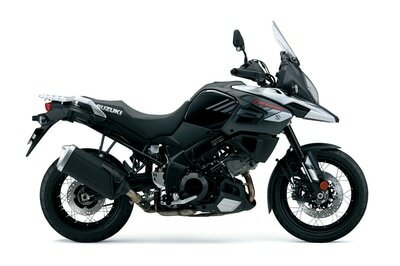 Introduced in 2002, the V-Strom 1000 expanded the popularity of motorcycles in the adventure-category. When a more proficient V-Strom 1000 ABS debuted in 2014, it was also embraced by riders around the world. To reemphasize the V-Strom’s leadership in this category, Suzuki applies new technology and practical experience to the new 2018 V-Strom 1000XT. Always a good citizen, this new V-Strom has refined systems to maintain engine performance and great fuel economy while achieving world-wide emission standards. To emphasize Suzuki’s adventure heritage the V-Strom’s exterior has undergone a transformation giving the motorcycle a hint of its lineage and a renewed call for adventure. That fresh styling also contributes to functionality and joins the new Motion Track Anti-lock* & Combined Brake System and other features to bring rider assist technology to a new group of adventure riders. Like every V-Strom before it, the equipment, the appeal and value of the 2018 V-Strom 1000XT will be recognized by experienced and enthusiastic riders. If you want to enjoy a trouble-free adventure as well, join them on a V-Strom.